While you cannot achieve your actual pilot license until at least 17 years of age, there's nothing stopping younger potential-pilots from training! In fact, you can solo at 16! 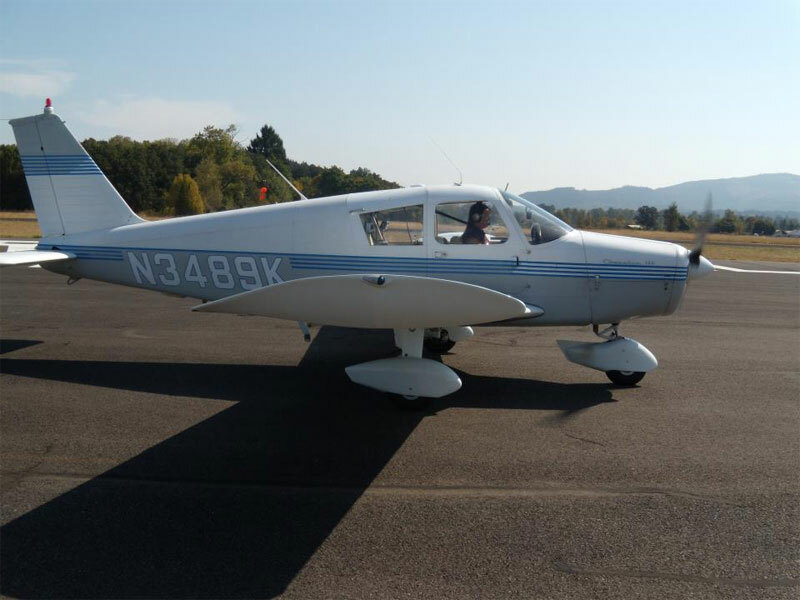 At About Time Aviation, our qualified flight instructors have taught student pilots as young as 11 years old. Basically, if you're large enough to manipulate the controls, you can learn to fly! Keeping everyone safe is a top priority when flying a plane, so the FAA has made a variety of requirements that pilots must meet in order to be licensed (certified). Below is an outline of those requirements, as published by the FAA. 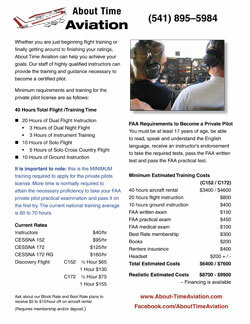 It is important to note that these are the minimum training requirements to apply for the Private Pilot certificate. More time may be required to attain the necessary proficiency prior to your FAA Private Pilot practical examination. Currently, the national average is 70 to 80 hours. For more information on current rates and costs, please visit our rates and rental policy page.